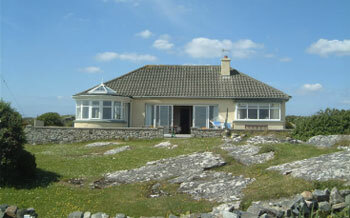 Beautiful Holiday Homes to rent in Roundstone, Connemara. 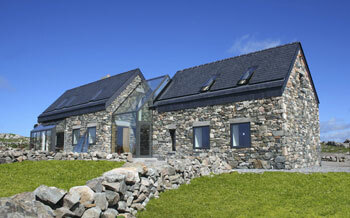 Dolanstown is situated on the beautiful west coast of Ireland on its own fifteen acres of rocky fields, surrounded by traditional Connemara loose stone walls. The land sweeps down to a large, secluded, sandy beach – usually deserted – which is ideal for swimming, snorkelling, fishing and sand castles. The fields display a profusion of wild flowers in season. There are no other houses in the immediate vicinity and Dolanstown is well away from the main road, approached by a long winding boreen. The area is a haven for children to explore. We have two beautiful houses on the land available to rent by the week, Folan’s Cottage Saturday to Saturday and the Bungalow Friday to Friday.